You can buy tickets to Siem Reap or Phnom Penh of the car brands as Mai Linh, Sapaco, Mekong Express, or some Cambodian car brands (on Pham Ngu Lao street). 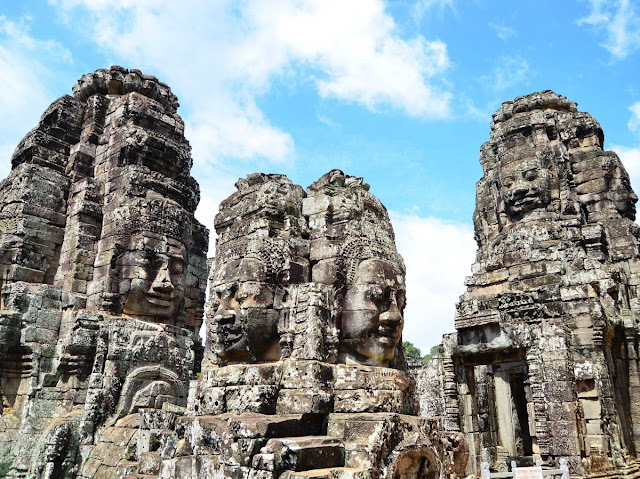 If you intend to visit Phnom Penh and Siem Riep, to save costs and travel time, you should buy 2 tickets for 2 routes, from Saigon - Siem Reap with $ 14, then from Siem Riep - Phnom Penh whose price is $ 7 . Besides, you can sail from Phnom Penh to Siem-Reap. Travel time is about 5 hours, the ticket is about $ 22- 25. If being interested in swimming on Sihanoukville beach, you can organize your itinerary in order of Saigon - Sihanoukville - Phnom Penh - Siem Reap - Saigon. From Sihanoukville - Phnom Penh, this tour takes about 5 hours, and costs USD 10- 15. In addition, you may come to Sihanoukville in Saigon - Ha Tien - Kampot - Sihanoukville tour (much shorter than Saigon - Phnom Penh – Sihanoukville tour). 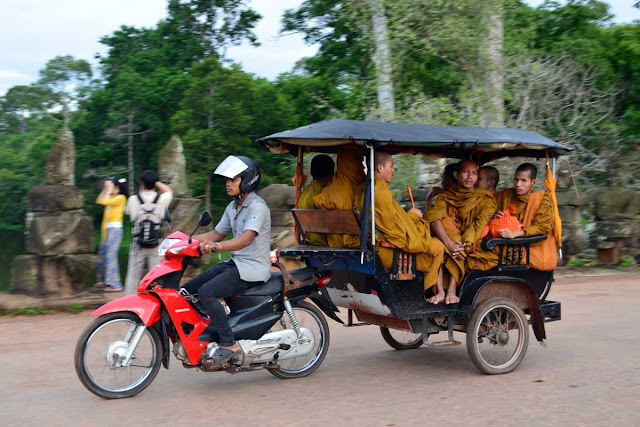 In each city, you can rent motorcycle taxi (cost 1000 Riel / km), tuk tuk or bike to visit, explore landmarks and landscapes. 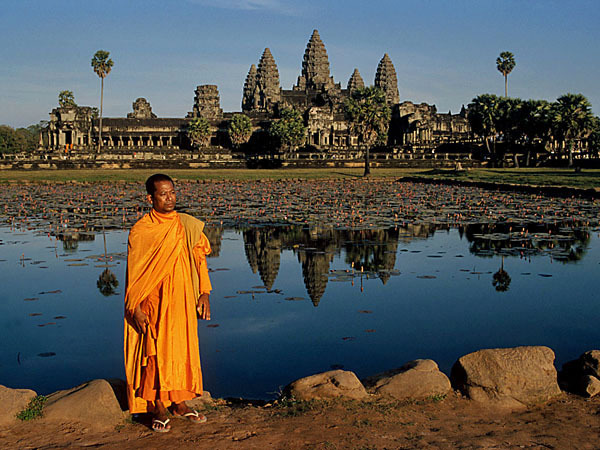 You can travel to Cambodia in any month of the year. Referring to Cambodia tourism, people immediately think of Angkor Wat and Ankor Thom in Siem Riep. Despite being ravaged by wars and time, the majesty, grandeur, quaint of these relics always leave a strong impression on visitors. In addition to architecture, decoration, temples or big statues, motifs of different shapes carved on the bricks, on stairs or floor bricks of the tower also help you learn more about the ancient architecture art of this country. Besides, the wonders of Angkor also dazzle you with Bayon temple - the famous attraction of Cambodia, where has hundreds of different faces on the four side Buddha statues. Exploring the great Tonle Sap Lake of Cambodia by boat or wandering on the western street at night (just like the Saigon western street) by tuk tuk will also provide exciting experiences in this tourist city of Cambodia. The capital of Cambodia welcomes you with splendid palace, grave gold pagoda, silver pagoda, bustling night markets, bustling big markets.... But also in Phnom Penh, tourists visiting Cambodia will not hold their tears when seeing thousands bones scattered on the ground, hundreds of skulls on shelves, the brutal torture at the Killing Fields, or the Museum of Genocide ... A quite poetic highlight in your trip in the capital is to ride through Diamond Bridge, where the of the most horrific tragic scene in the world took place. Besides, visitors coming to Cambodia do not forget to visit the Independence Monument to take photos, or visit Wat Phnom Penh, the temple which virgins can not entered, to worship. 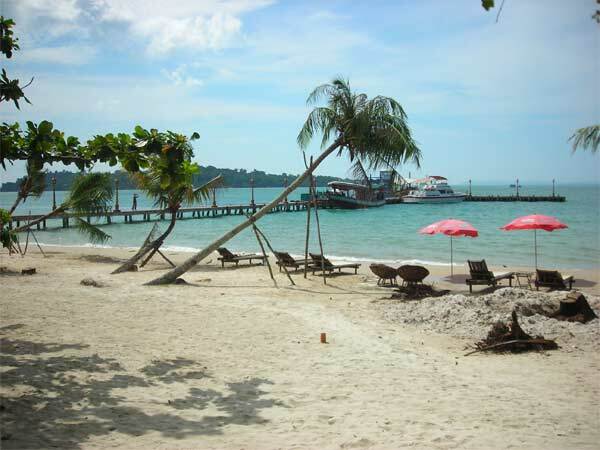 In addition to the wild, peaceful beauty of the sea, tourism in Sihanoukville is undeveloped and relatively unspoiled. 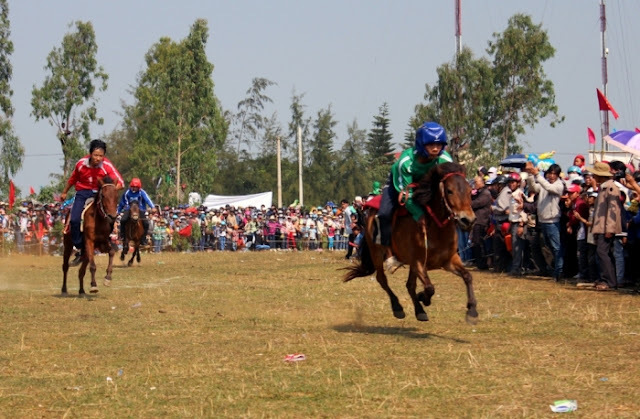 Sihanoukville’s attractions can be roughly divided into three different areas. The first area includes Occheuteal Beach and Serendipity Beach, this place has many guesthouses, hotels and Western street, so it is quite busy. The second area has two rather famous resorts named Sokha Beach and Independence Beach. The only disadvantage is that there is few place to visit, moving on the road in the evening is also quite dangerous. The third area consists of Otres Beach, Victory Beach where backpackers often get prefer because the service’s price is quite cheap.